The bouzouki is the mainstay of modern Greek music. 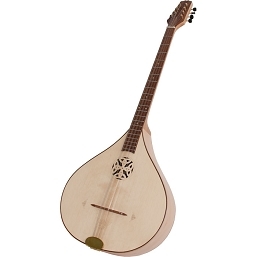 It is a stringed instrument with a pear-shaped body and a very long neck. 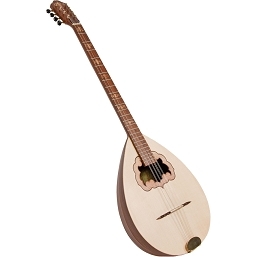 The bouzouki is a member of the 'long neck lute' family and is similar to a mandolin. The front of the body is flat and is usually heavily inlaid with mother-of-pearl. The instrument is played with a plectrum and has a sharp metallic sound.